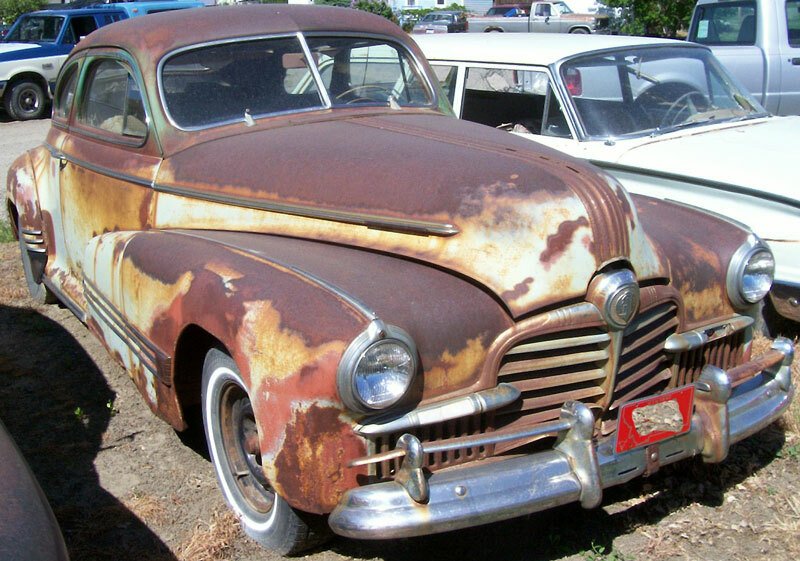 This mermaid green 1942 Pontiac Streamliner Eight Super Chieftain KB line Series 28 2 door fastback sedan is an extremely scare classic car ready to be restored or customized. This is the big, top-of-the-line Pontiac for 1942. The body has very solid dry Montana high desert sheet metal. 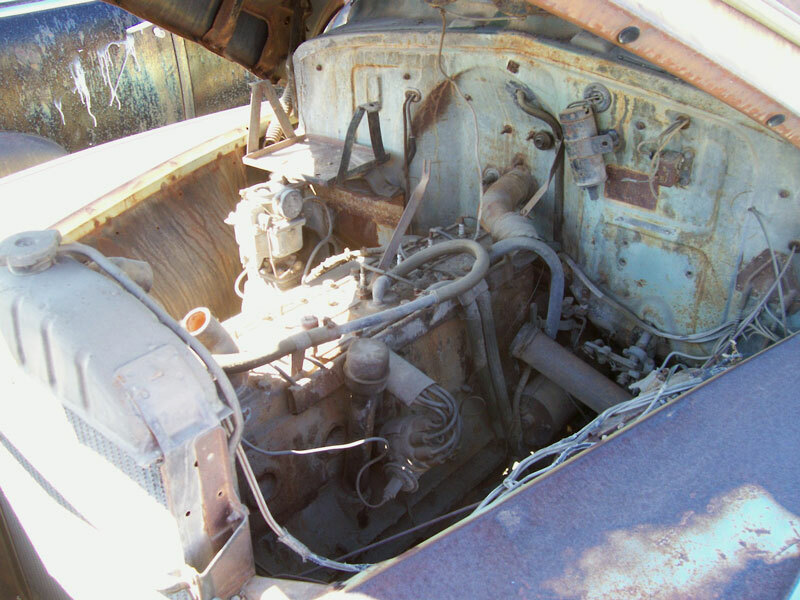 The bumpers and grill have surface rust. The hood ornament and left parking lens are missing. There is some paint bubbling under the right headlight and there could be a little rust in this area. The left outer door shell is dented and the trim is damaged. The left rocker trim is missing. The left spot light and wipers are missing. There are a couple small dents over the driver door. The left rear quarter is dented and there is a welded body seam. The tail lights are gone. The deck lid is decked and some of the trim is bent. The deck lid lock emblem is missing. The right rear quarter tail is damaged. The right front door rocker trim is missing. The tan interior is all there except the radio and right door panel are gone. The chrome gauge panel trim has surface rust. The gauges are all there. The rear seat folding center rest, unique to the Streamliner Super Chieftain, is there. 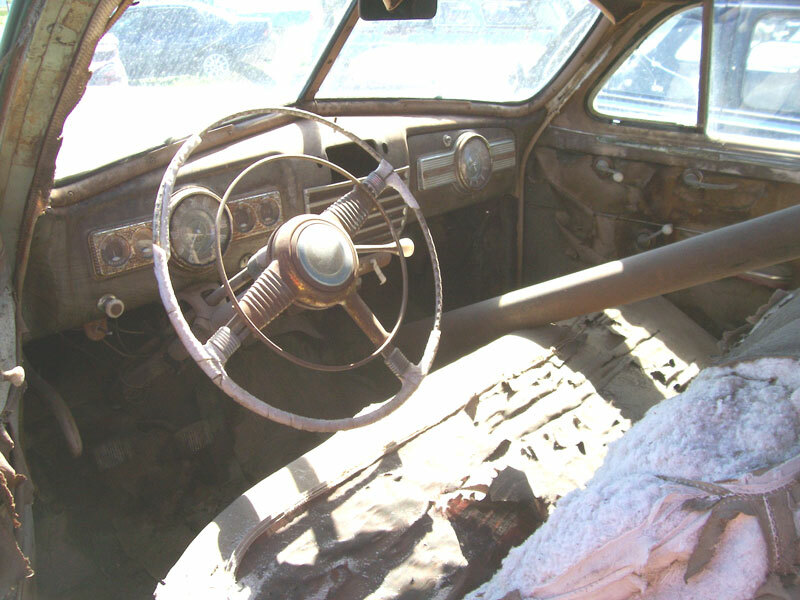 The driver floor has some rust. The right side of the trunk floor has some rust. The 249 CID 103 HP L-head inline eight cylinder motor and 3 speed manual transmission are complete except the air cleaner is missing. The running condition is unknown. 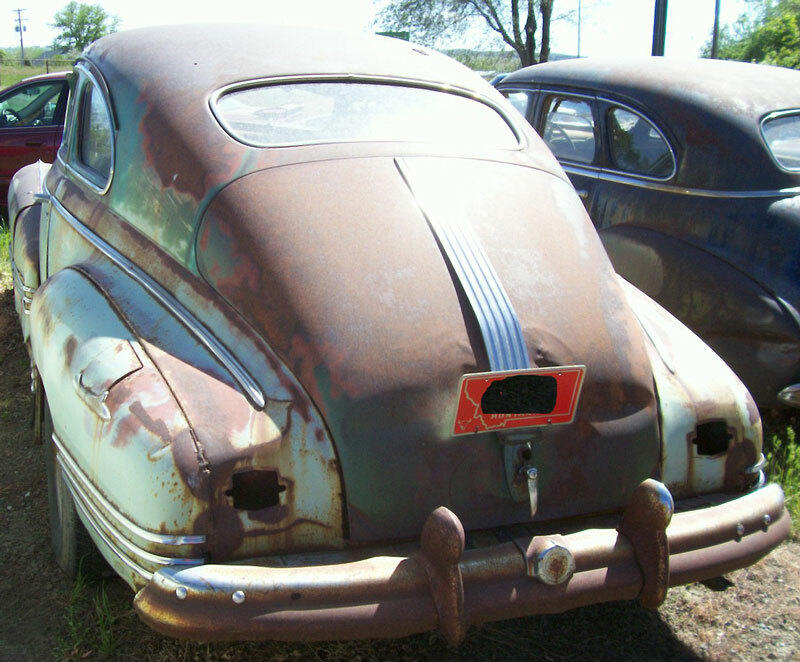 Here is a unique opportunity to build a very desirable and scarce 42 Streamliner fastback 2 door sedan. Please call (406) 318-0270 for details about this restorable classic project car.